High accuracy with heavy duty to meet requirements for inspection and slitting. 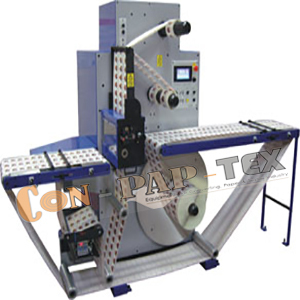 Quality Inspection Slitter Rewinder Machine to process LD, Polyester, etc., Paper, Alu. Foil and more. Materials to be processed: All Printed Films like LD, Polyester, etc., Paper, Alu. Foil, etc. Optional: Circular Cutter Assembly for Paper Slitting.